Are you in business for yourself? I am in business for myself. I love being in control of my own fate. I love that I am a woman who does not worry about glass ceilings and unfair standards. I love that I never need to ask for a raise and that I will never need to worry about being chosen for a promotion. I am in business for myself. My success is my responsibility. Mindset is a really big deal when you own your business. Doubt is a destroyer. There are benefits and there are tribulations to every choice. I choose to be a professional photographer. I do not have any other job except my business. Would I take a job if I needed to? No. I wouldn’t. My business will succeed or I will starve. My choice is that concrete. I am a business owner. I have been in business for myself now for fifteen years. I made the choice to be one of the best in the industry when I began. I tested the quality of my work by competing in professional leagues. The PPA and PPW. It was expensive to compete and the awards ceremony was long to sit through. It was immensely gratifying to earn so many professional awards for my work. KODAK GALLERY AWARD, THE LEE MERRILL TROPHY, THE RUSS CLIFF TROPHY, BEST WEDDING ALBUM WESTERN STATES, BEST BOOK DESIGN (non-wedding)…. I’ve done quite well with my business. I do not worry about money. I plan and I work all of the time. It’s hard for me to relax or take time off because there are so many things I want to do and so many more photo shoots that I want to create. If you are reading this and you are looking for a photographer please know that I want to be your choice. A SMILE LIKE YOUR PHOTOGRAPHY. 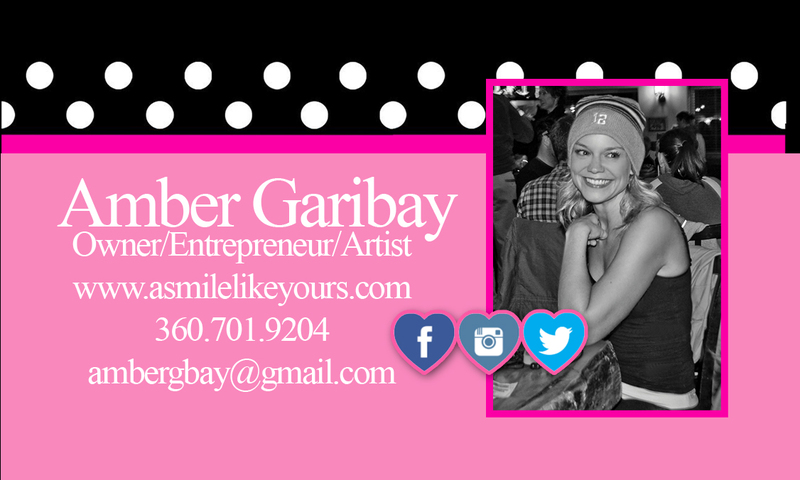 Book Amber Garibay. She is an artist. Let’s talk about money now. Let’s talk about the difference between professionalism and amateur. I chose to purchase a $6,500 camera because I wanted the ability to create a superior product. I knew that I wanted my work to be gallery quality art. I understand that choosing the right tools is the only way to guarantee a top of the line product. Your pictures are not images on disc. They are masterpiece gallery wrapped décor for your home. They are award winning albums and treasure keepsakes. They are the centerpiece of every room. They are show stoppers. They are WOW. They are compliments from friends and family. They are your heart filled with gratitude. They are money well spent. I am the photographer that you book when you want something special. I am the photographer that you book when you care about quality. I am the photographer you book because you understand that once in a lifetime really is a true statement. I am the photographer you book because you are not willing to compromise, you refuse to settle. I am the photographer you book because you know that you are worth it. Yes. You can absolutely afford my prices. I kept them reasonable for reason. I create my packages to be attainable. Your booking is an opportunity. Be empowered. This entry was posted in ARTICLES WRITTEN BY AMBER GARIBAY. Bookmark the permalink.